Almost every morning I speak over my life a list of confessions, and let me just tell you, it is AMAZING to see them manifest in my life! Proverbs 23:7 says, "For as he thinketh in his heart, so is he..."
Who do you think you are? The more you say something, the more you'll believe it, then, you'll start acting like it. Proverbs 18:21 tells us that life and death are in the power of OUR tongue. YOU have the power to speak life over your life, or to speak death. 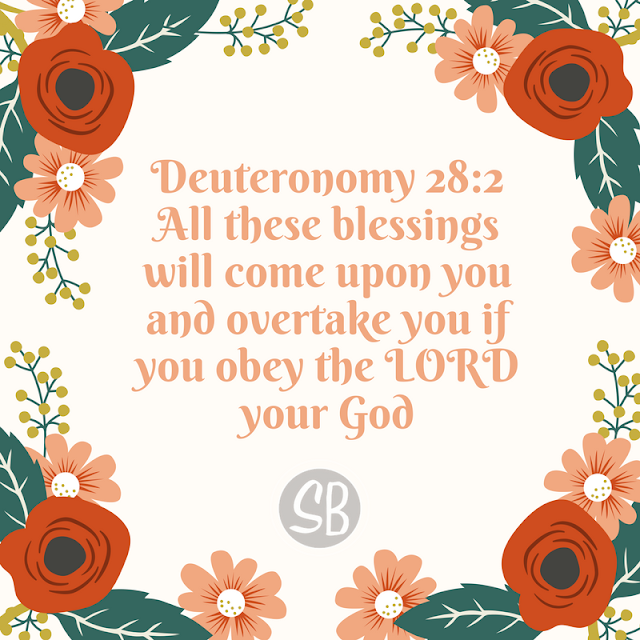 One of the confessions I speak over my life is "blessings are overtaking me today", a promise from Deuteronomy to those who obey God but because Jesus fulfilled the law for us, we are now the righteousness of Christ (2 Corinthians 5:21). Now we can expect all of those blessings listed in Deuteronomy to come upon US! As I woke up this morning I thought, BLESSINGS ARE GOING TO OVERTAKE ME TODAY. AND WOW, they really did! Get ready for blessings to overtake your life!